It’s 1962 and there’s a whole lotta shakin’ goin on ina backstreet beat cellar in Liverpool called the Cavern Club. This isMerseybeat, the sixties sound of Liverpool, from the depths of Number 10,Mathew St. The ‘British Invasion’ starts here and during the next two years‘Merseymania’ rules the world! 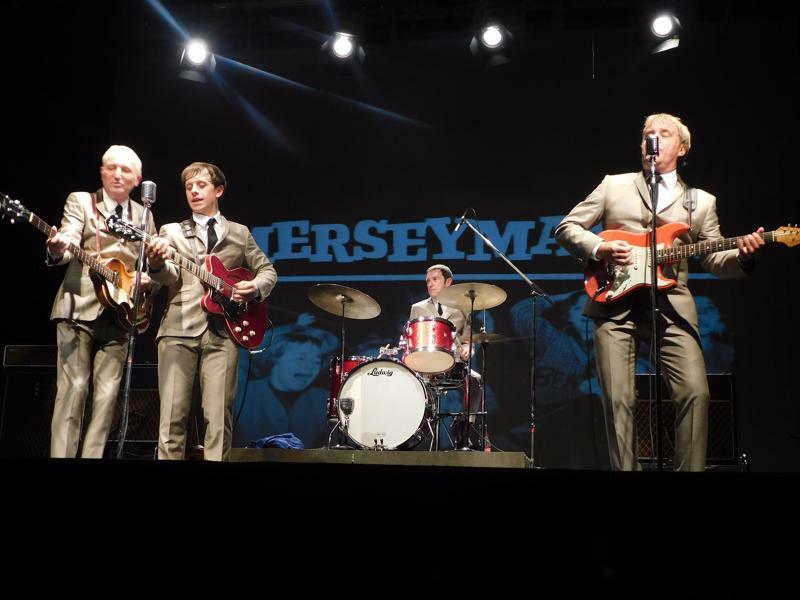 This new show, features the Cavern Club’s residentMersey beat combo, The Shakers and their ‘Maximum Merseybeat’ sound,just as it used to be, plus special guests Victoria Jones as 'Cilla' and PaulMolloy as 'Billy J Kramer'. The show features the hits, classic Cavern stompersand a shot of rhythm & blues (with just a little rock’n roll on the side,just for good measure) from The Beatles, Gerry & The Pacemakers, TheSearchers, Billy J Kramer, Swinging Blue Jeans, Cilla Black and many more. It’sthe beat that’s hard to beat!